This item is built-to-order. Please contact Customer Service for Lead Time. Orders will be accepted for a minimum of 10. Designed for moisture and electrostatic discharge (ESD) sensitive items (such as SMT). Meets ANSI/ESD S20.20, ANSI/ESD S541, EIA 541, JESD625-A, and EIA 583. 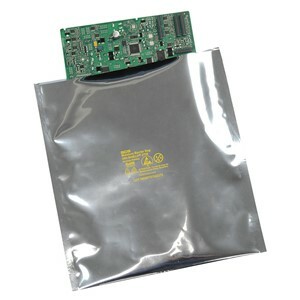 Designed for dry packing of moisture sensitive devices and to protect contents from damage due to ESD events or EMI. Protects contents from ESD charges and discharges. Provides superior physical protection for contents. Allows bag to be grounded when placed on a grounded surface or handled by a grounded operator. Meets the requirements of ANSI/ESD S541 for quality control purposes. 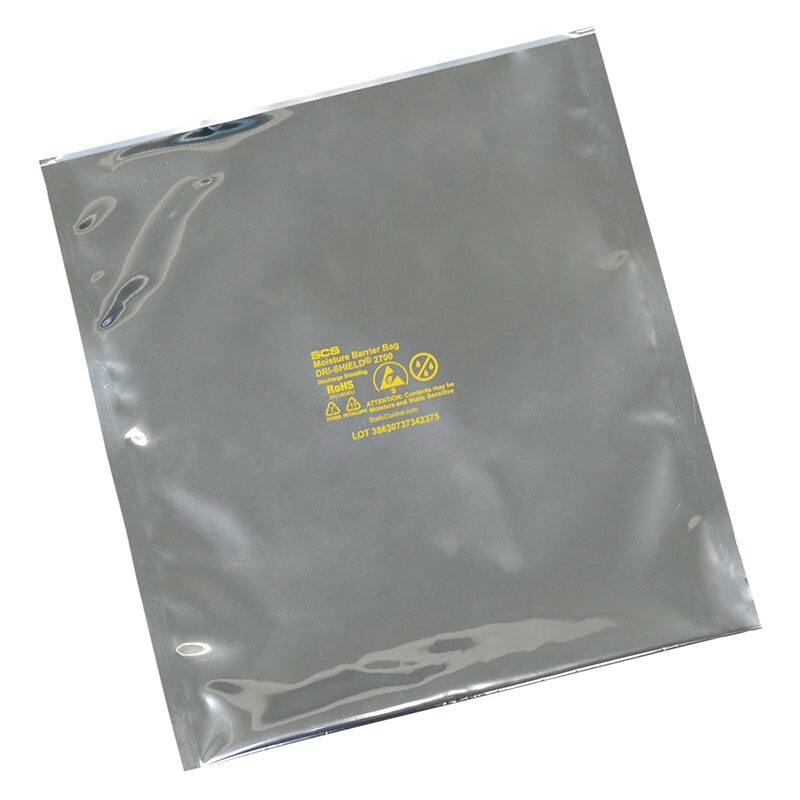 This is a silver metallized moisture barrier shielding bag for Electrostatic Discharge (ESD) sensitive components. Click HERE to see our Moisture Barrier Bag Selection Guide to find the proper bag for your application.